As a native-born American and lifelong French resident and citizen, as a mother and grandmother of tri-national offspring, and as an educator and administrator in varied educational settings, multilingualism has always been a part of my life. I went to France in my early twenties, upon graduation from the University of Pittsburgh with a degree in languages and journalism. After working initially in public relations and advertising, once my three sons were born I focused on language acquisition and childhood education – as a private primary school tutor, business English teacher, director of the BSF pre-school program, head of the Lycee International homeroom mothers function, and president of the board of theLycee International American Section (in St.Germain-en-Laye). My background as a linguist, translator, teacher, administrator, mother and grandmother has given me a unique perspective on the psychological and pedagogical needs of early childhood language learners. It has also given me a keen appreciation of the special challenges of bi- and multi-cultural children. My passion and focus in working with pre-school children is on developing reasoning, cognitive skills, and verbal expression, with a special emphasis on acquiring a broad vocabulary and grammar base (yes, even at the pre-school level!). 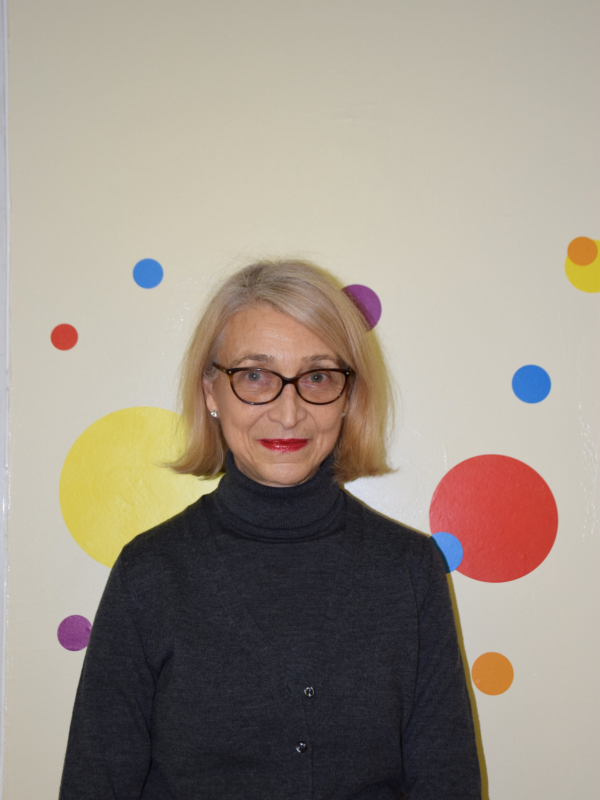 Now a NYC resident, I am pleased to continue working with bi- and tri-lingual children at Arc-en-Ciel, to help bring them to a confident level in French and English, and to contribute to fostering a caring, stimulating bi-cultural environment in which they can thrive.